Before I started this blog and my mini stocks investment venture, I always have an "Asian" (read : old mentality) impression that most of the peer investors will try to keep their success formula to themselves. However, after 11 interviews (including this one) and on-going interaction (through emails and mutual blogs' comment) with the peer investors, I found out that the opposite is true! In short, most retail investors are very willing to share their success stories, tips and cues. My bad! I am a first class graduate from University of Leeds (UK). I hold a bachelor degree, with honors, in Civil Engineering and Construction Management. 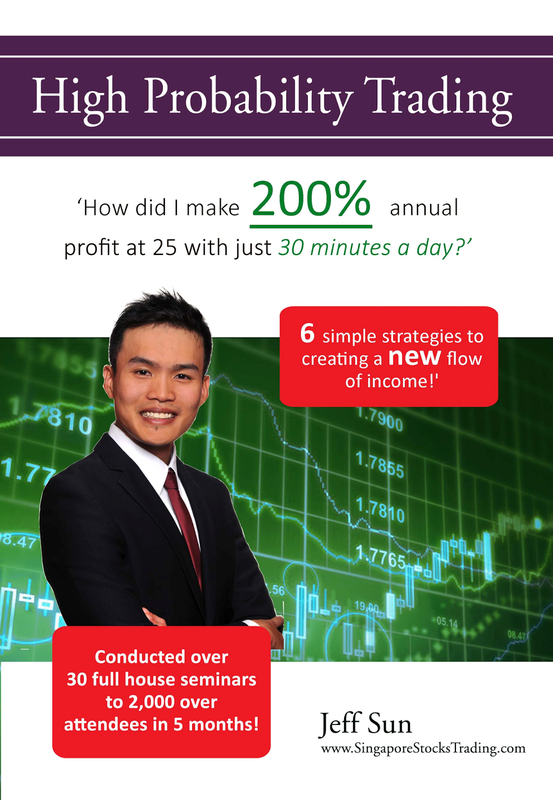 The intensive course has enhanced my analytical skills for risk management, which enabled me to develop my own sets of high probability trading strategies. I am a part time investor with a full time day job. I started investing when I was 21. I was making some money as a reseller in various type of fashionable product in my poly years and wanted the money to continue rolling itself. I pick up Adam Khoo’s ‘Secrets to Millionaire Investor’ and never look back since. The book taught me the scariness of how inflation would actually make you poorer. That alone is enough to motivate me to get started with investing right away. I believe a portfolio short consist of a strong core of long term investment based on good fundamentals of a company and a proportion of pro-active funds for short term trading to hedge against the market during strong correction period. I am heavily invested both US equities and Singapore REITs. I look for both technically and fundamentally sound companies that have achieved growth in the last 5 years of their financial statement. I also make sure that the bulk of my savings go into Singapore REITs every month. This would allow me to compound on my annual returns, to achieve a substantial passive income for retirement. I am also a believer in setting aside a small sum of pro-active trading fund that allow you to short sell the market during a strong market retracement. By doing so, it would allow you to hedge against your long-term investments, and minimize any potential losses. I am a really huge fan of http://fifthperson.com. The amount of free resources and written article are of top quality. I co-owned two Iskandar properties which varies between $20,000 to $60,000 of my investment. My portfolio distribution consist of 40% REITS, 40% long term investment growth (US & Singapore equities) and 20% short term trading. I strongly welcome all interested parties to visit my website at www.SingaporeStocksTrading.com or my facebook page https://www.facebook.com/jeffsunh. Looks like Jeff has utilized his fundamental and technical analysis knowledge/skills pretty well in his investing venture, I hope to attend one of his seminar one day to learn from him! In any case, whoever attending any personal finance workshop/course should first identified their objective and do some "homework" in researching whether the workshop/course meet their requirements or not. Look I am still pretty young but am really keen to know more about it. May I know what is the youngest age that attend to your event?